We flew to the Chicagoland area (where we'll be moving to) and gave ourselves 2 1/2 days to find a new house. Thankfully we've lived in this town before so we were at least familiar with everything! We looked at everything in our price range, over 25 houses, and were just filled with uncertainty. The housing market there is just so expensive compared to most of the country, so we knew we'd be downsizing, but didn't realize it would be quite like this! Hubby and I had been praying that God would let us know when we'd found the right house for our family. We tentatively settled on 2 houses. One of which was in the town we wanted, and in a very nice neighborhood with the space we needed, but it would need to have the bathrooms and kitchen gutted (things were literally crumbling & falling apart) not to mention tons of other work done. And we didn't want every spare penny we earned going into the house. The other house was in a different town than we wanted, but was in lovely condition. We were thinking of putting in an offer, but since I was having funny feelings about it, Hubby decided to look up the town's information on the internet. He saw a link for area Sexual Predators, and clicked on it. Well, had you been there you would have had to pick up our jaws from off the floor, because there was one RIGHT ACROSS THE STREET from this house! Needless to say, with me home during the day and 2 little girls, this one was immediately crossed off the list!!! We are so thankful that we found this out beforehand! Praise God!! The day after we got back home, I was looking for some temporary housing for us to stay in until we found a new house. 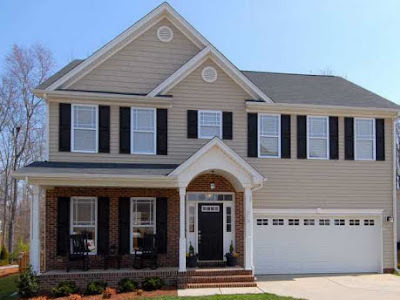 You see, we are closing on this house here in NC in a couple of weeks. I was having NO luck, since most places either don't accept pets or don't do short term leases. 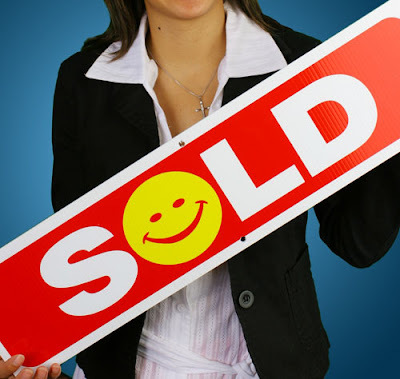 Wouldn't you know it, just then our realtor called us to say that a great house just dropped into our price range! (OH, the timing!!) She sent us the listing, plus 74 other pictures she took of the house to give us a better feel for the flow and layout. Funny enough, we were at complete peace! Hubby flew out to take a look a couple of days later, and they accepted our offer! Whoo-hoo!!! Thank the Lord!!! then moving into the new house! ps....I've heard the phrase "In A Nutshell..." SO many times this week from various people! :) It always reminds me of Mike Myers as "Austin Powers"...curled up in a little ball saying, "This is me in a nutshell....How did I get into this nutshell? "....looking all trapped and trying to get out! Too funny!!! 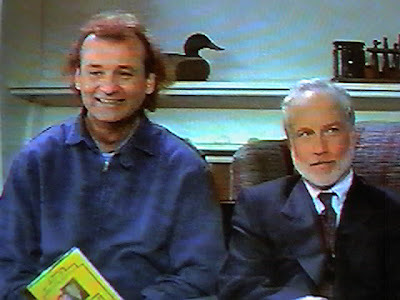 Anyone else here have the movie "What About Bob?" as a family favorite?!?! This is one of those days! :) So I'll just tell myself, "I feel good, I feel great, I feel wonderful....I feel good, I feel great, I feel wonderful...", over and over until maybe it'll actually come true!! haha! We're going house hunting this weekend, and the girls are staying here with my sister, so pray that all goes well with the kids & for safety on our journey and that we'll find the house we're meant to have! I'm off to pack our suitcases now! If you have no idea what this post is even about :), and you like silly humor movies, then I highly recommend you rent "What About Bob" this weekend!! :) It gets even funnier the more times you watch it! 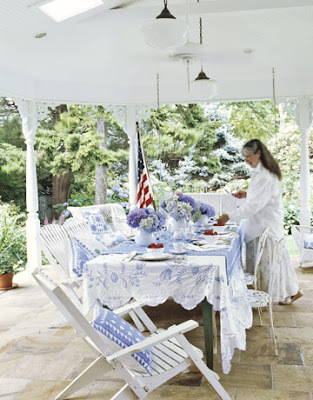 Today I'm joining in Kimba's Garden Party at A Soft Place To Land. These are some spring images from my garden, hope you enjoy!!! This is a little patio we made earlier this spring by laying out salvaged bricks from a torn down 1920's house in town in a rectangle shape. Next we added weed barrier over the ground, and put pea gravel on top. Too easy! This wasn't an expensive project at all, especially since I salvaged the bricks myself (with permission of course)! We added some comfortable outdoor seating and some pots with pansies (here in the south, pansies are planted in the fall, and last until late spring/early summer). It's a great place to relax and watch the kids play in the backyard!! I just love roses, don't you?!! I grow Knockout roses, and love how they are disease resistant and very hardy! These roses also rebloom all spring through fall long!!! You can bet I'll be planting these at our new house as well! Here's a little seating area we created in the garden bed. This is a spring picture when the beautiful creeping phlox were blooming! Love these! They stay mostly evergreen the rest of the year. After the phlox finished blooming, the Knockout rose bushes behind them burst into bloom! I love sitting here, it's such a sweet, calming little spot! It's been so rainy here lately, so I still need to get a sunny day to take pictures of my summer blooming plants to show you! The most beautiful coneflowers, daylilies, hydrangea, etc!!! Sight: A flag waving in the breeze, watching the kids fly a kite, pretty blue hydrangeas in bloom, a "Welcome" sign on the front door, switching your decor to light and bright, sunlight sparkling on the morning dew, fireflies blinking in the evening, kids blowing bubbles and drawing with sidewalk chalk, waving to a passing neighbor when you're outside! Sound: Listening to local marching bands in the town parade, kids laughing in the backyard, the slam of a screen door, free local concerts, the crackle of a campfire, the splash of water in the pool, friends chatting while gathered around your patio table. 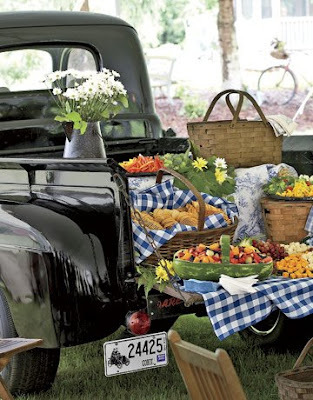 Smell: Flowers fresh from the garden in a pretty vase, a fruit pie fresh from the oven, the tropical scent of sunscreen, freshly mowed grass, charcoals cookin' up burgers & brats, the salty air by the ocean. 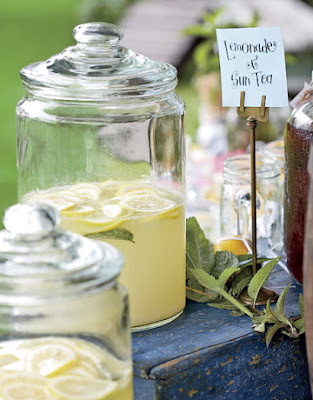 Taste: S'mores made by the campfire, veggies fresh from the garden, a popsicle made by sticking a popsicle stick in a dixie cup with juice & freezing, fresh squeezed lemonade made by kids at a lemonade stand, herbs from the windowsill, slices of watermelon, pizza every Friday night with the family. 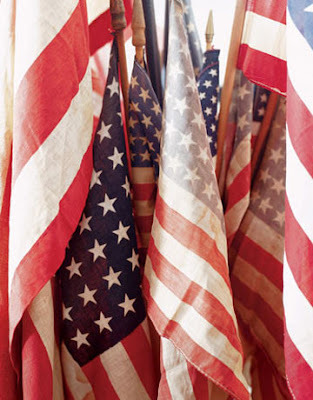 Touch: A vintage tablecloth covering your outside table, a cool glass of sweet tea, the breeze of a ceiling fan circling overhead, picking up shells at the beach, being wrapped in a warm towel after getting out of the pool, placing your hand over your heart in patriotic pride! Take time this Summer to notice & experience the little joys in life! Whoo-hoo!!! We have a signed contract!!! Yay!!! The negotiations went really smoothly, and we close in 1 month. Gulp! So, now I'm freaking out because we haven't even begun house hunting yet. What? Well, we honestly didn't know how long it would take to sell our house here, and didn't want to start looking only to be unable to buy anything or have a deal fall through because we couldn't sell our house. Makes sense, right? So today we're figuring out when we're travelling to house hunt, getting papers signed here, & telling the year-round school that the girls won't be returning in July for the next grade since we'll be moving. Oh, and getting ready for my Cousin's family to come tomorrow :)! If you would, please keep us in your thoughts and prayers over the next month as we make sure that nothing in these deals falls through, and it would all be a smooth transition! Oh my goodness, we have an offer on our house!!!!! Our realtor just called a little while ago, and said we had an offer! Praise God!!! PLEASE PRAY that negotiations with the offer go well, we don't want it to fall through! I don't think we've ever been more nervous about selling a house than we are now. I would truly truly appreciate your prayers! Just a warning to my dear friends...the past day or two I have been receiving spam comments from someone on several past posts. These are from a male, with highlighted chinese/japanese characters (not in english). If you see this in the comments on either my blog OR on your blog, DO NOT CLICK ON IT!!! It will open to a site that is NOT suitable (I'm not saying more, for fear that google will pop up more junk) for ANYONE to see. Just delete immediately if on your blog. I am going through all past posts to check for more, and if it continues I'll have to moderate comments, unfortunately. I just wanted to let you know, so you won't be as surprised as I was!!! Welcome! Come on in & let's talk Organizing Your Entry!!! Whether it's the front entry or the back door, we can all use a little inspiration for getting things organized! Keys, mail, purses, backpacks and coats all need a home. So, where do we put them? I've showed you my coat closet, but what if you don't have a coat closet of your own? What if there's very little entry/foyer space, or no separate entry space at all? Where do you store all of your "stuff"? It CAN be neatly organized -- with style! My front door opens up onto the main hallway. The stairs are ahead on the right, and the living room is just to the left. 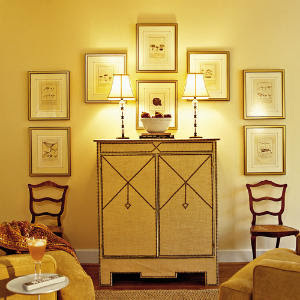 There is no planned "foyer" in this home, but we have carved out several little spaces for Entry Organizing! 1) A Console Table behind the loveseat separates the living room from the "hallway" area, and has drawers that could hold keys and mail, and shelves that could hold baskets for shoes, gloves & scarves, & purses. 3) We have a coat closet, but I always love how mirrors expand a space, and these extra hooks are sure handy! This hangs on the wall behind the door. It takes up next to no space, and really gives this wall some organizational purpose! A little beadboard topped with a shelf and some pegs or hooks & you'd have a great coat/backpack area here! In my other homes, I have only had one "true" foyer/entry space. Everywhere else, from apartments to houses, I've had to get creative! I've used dressers as entry tables, a slim bench with hooks above, and in my last house where the door from the garage opened straight into the family room I put a basket under an end table to hold shoes and a little shelf with hooks above the end table to hold keys, purse, & mail. There's always room for a little organization :) , no matter how small the space! 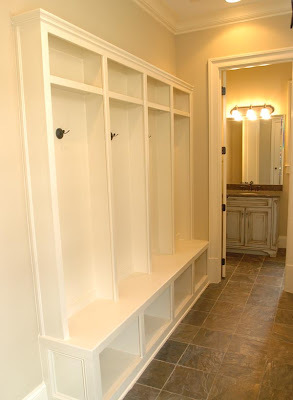 Above is an ingenious idea from Wendy at The Shabby Nest -- She turned a little used closet into a Mini Mudroom! Click here to see how she did it! Check out these super slim locker spaces above! This would fit into even a very narrow hallway beautifully! I love how Chris at Just Beachy added some hooks and a mirror behind her door that even the little ones could easily reach! Great for those "extra" kids that always hang out at the house! I love the photo above because it shows how you don't need much room to make a big organizational impact! I also love having a mini ottoman or chair tucked nearby for putting on shoes, holding a bag, or even extra seating when pulled into the room! How about a small armoire?!! Perfect for making a mini coat closet out of! Jackets, backpacks, purses and more will fit easily inside! 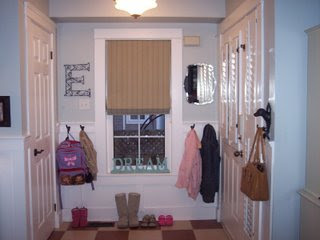 Put a tray on the bottom for shoes, and hang cup hooks on the interior of the door for keys. 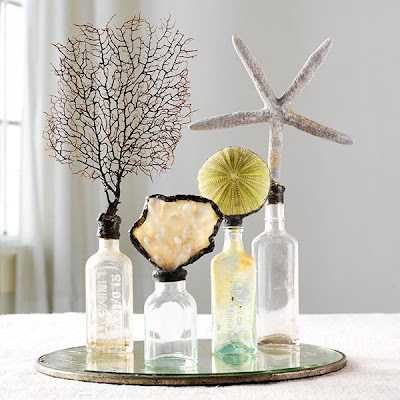 Look for one secondhand and re-do to fit with your decorating style! Hope this gave you some Entry Inspiration! 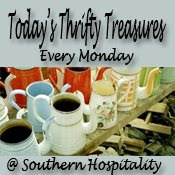 I'm participating in Today's Thrifty Treasures over @ Southern Hospitality. I found the cutest silver bucket thingy (for wine ? I think) at an area neighborhood sale this Saturday! It was toward the end of the yard sale, and this was actually still there!! Lucky-duck me! I just love it! I think there are so many uses for it! What Would YOU Use It For?! !